Take part in our quiz about the Wimbledon Tennis Championships and you could win a Marks and Spencer hamper worth £35! Would you like to win a Marks and Spencer hamper worth £35? 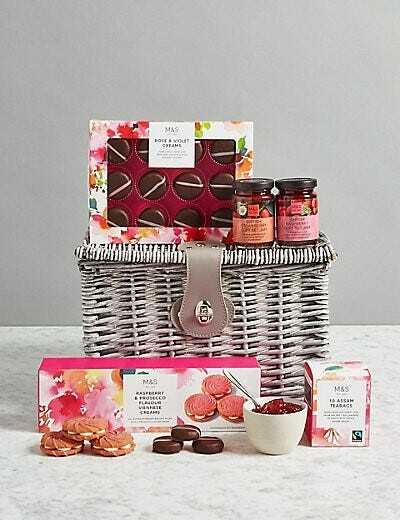 The Teatime Treats Gift Basket contains a selection of indulgent teatime treats including raspberry and prosecco Viennese creams, Assam tea and preserves. 1. On what date does the Wimbledon championships start? 2. Which female tennis player has served the most aces of all time at the championships? 3. What colour are the balls used at Wimbledon? 4. What company supplies the tennis balls? 5. What colour must the players wear? 6. On which court are the final matches played? 7. What is the name of the electronic line calling system? 8. What fruit is on top of the trophy presented to the winner of the Gentleman’s singles? 9. What is traditionally eaten at Wimbledon? 10. What is the name of the club where the Wimbledon Championships are held? To be in with the chance of winning a Marks and Spencer hamper worth £35, simply complete our Wimbledon quiz and email your answers to competition@cosyfeet.com by 1st August 2017. A winner will be selected at random from the correct entries. All competition entries will be added to our email mailing list. By submitting an entry into our competition you are consenting to us using your name on our website and in future newsletters. We reserve the right to withdraw this competition at any time.